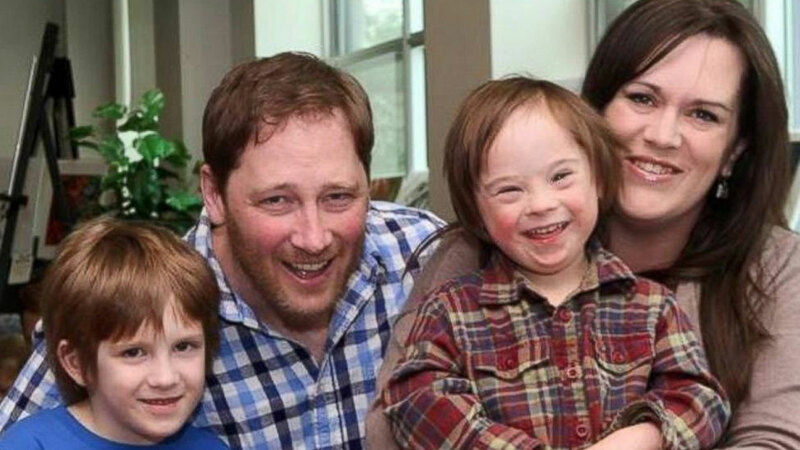 TRURO, Nova Scotia -- A Canadian father who posted a video of himself defending children with Down syndrome is being inundated with support from around the globe. Robert Scott took the video after he overheard another father in a video store explaining to his son what Down syndrome was, according to ABC News. Scott's 5-year-old son Turner has Down syndrome, and Scott says it "is literally one of the most beautiful things that's ever happened in (his) life,"
"The video was really more for me because I felt like 'OK, I dealt with this poorly and the only way I could feel better is to at least express positively what I feel,'" Scott said. "(I thought) maybe a couple of people will see it and share it and it will help them think differently." "This child was genuinely asking, 'What's Down syndrome?' and this child is a blank slate," he added. "I let him understand it for something it wasn't. I let his father define it for him and that hit me hard. This was a child a child that's my sons age and I could've corrected him, not in a rude way, and I didn't." Nearly a million people have watched the video on Scott's Facebook page. WATCH: Full video on ABC News.